LA JOLLA, CA – In January 2008, Stemagen, a privately held embryonic stem cell research company, announced it has become the first in the world to create, and meticulously document, a cloned human embryo using somatic cell nuclear transfer (SCNT). Stemagen CEO Samuel H. Wood, M.D., Ph.D., a co-author of the publication and a donor of the cells from which the embryos were cloned, terms this achievement “a critical milestone in the development of patient-specific embryonic stem cells for human therapeutic use, potentially including developing treatments for Parkinson’s, Alzheimer’s and other degenerative diseases.” Stemagen’s research is exhaustively detailed in a paper published in the January issue of the highly regarded peer-reviewed scientific journal Stem Cells. Click here for more about this article. In the years since this major breakthrough, Stemagen has been working toward advancing this important science. Our subsequent accomplishments to date, however, remain unpublished. 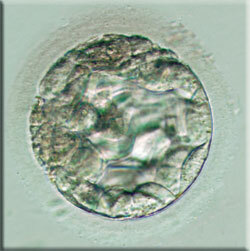 Progress has been slowed by existing California law and CIRM guidelines restricting the fair compensation of women who choose to donate oocytes for scientific research. Read Stemagen's response to the Noggle et al article "Human Oocytes Reprogram Somatic Cells to a Pluripotent State" published in the journal Nature.